Korean pop star Rain is back in fighting form after serving in the army for his country. 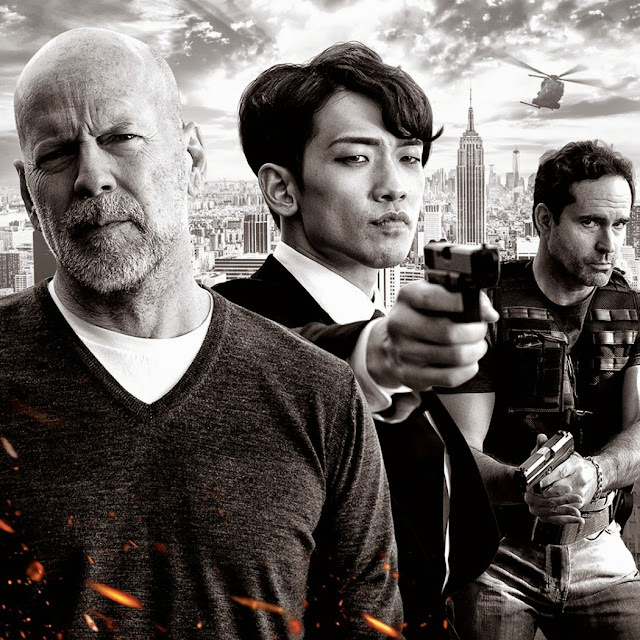 Back to work and in full action mode, Rain stars alongside Hollywood’s Bruce Willis and Jason Patric in “The Prince” where he plays loyal henchman to Willis’ character who is about to settle scores with Patric playing the title role. “The Prince” pits two long time enemies – a retired assassin Paul Brennan (Patric) and Omar (Willis), the city’s most powerful man who faceoff once again after twenty years. Paul Brennan (Patric), a retired New Orleans crime boss, has lived a quiet life off the grid, running an auto repair garage in remote Mississippi when his teenage daughter goes missing, Paul is forced to return to the city and face his former enemies. 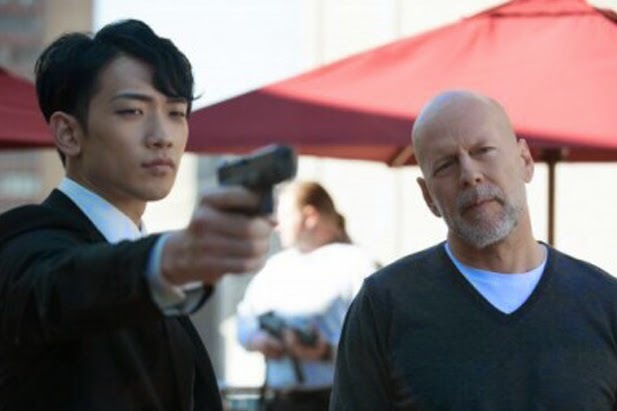 The plot follows the re-awaking of a feud between a retired assassin and the man whose wife he killed years earlier. This man, played by Bruce Willis, exacts revenge by kidnapping the former hit man's daughter. Now the two are chasing each other through the streets of Mobile, although the trailer indicates it's set in Mississippi. Standing dangerously between the two is Mark (Rain), loyal henchman to Omar. Omar instructs his henchmen to bring Paul to him, but Mark (Rain), measures his words carefully before counseling, Let him do whatever it is he came here for and crawl back to whatever rock he’s been hiding under. “Mark is cool headed and charismatic,” says South Korean actor and singer Rain, who plays Omar’s quick-on-the-draw, right hand man. For Rain, whose real name is Jung Ji-hoon, “The Prince” is his first action film as he comes back to making movies after his military service. Rain, known as a superstar musician in Asia, crossed over into acting with his debut in the hit South Korean television series “Sang-Doo” (Let’s Go to School). He solidified his position as an actor with his lead role in the Korean mini-series “Full House,” and became recognized throughout Asia as not only as a singer, but an actor as well. The drama was aired throughout most of Asia, including Japan and China, with an average program rating of over 50 percent. This was the start of Rain Fever that seemed to cross borders throughout the east and Southeast Asia. During his latest Korean television mini-series, “A Love To Kill,” Rain’s headstrong approach to trials and challenges made him more versatile as an actor. One of the most acclaimed filmmakers in Korea, Chan Wook Park, known internationally for his VENGEANCE Triology (Sympathy for Mr. Vengeance, Oldboy, Sympathy for Lady Vengeance), chose Rain to star in “I’m A Cyborg, But That’s Ok.” It was a great honor and opportunity for Rain to finally break into films, and he was featured alongside stars Ji-Hoon Jung and Soo Jeong Im. The film won the Alfred Bauer Award for Particular Innovation in Filmmaking, one of the eight main awards at the 57th Berlin International Film Festival, and Rain received the Best New Actor Award for his role in the film at the 43rd Baek Sang Arts Award in Korea in 2007. For his Hollywood debut, Rain was cast as a rookie racer in the Andy and Lana Wachowski’s action adventure film “Speed Racer,” based on the classic series created by anime pioneer Tatsuo Yoshida. This movie boasted the kind of revolutionary visual effects and cutting-edge storytelling that have become the benchmarks of the Wachowskis’ films, and gave Rain his first chance to leave his mark in the American entertainment industry. Impressed by Jung’s work ethic and his huge talent, the Wachowskis’ chose Rain for the lead in their next movie, “Ninja Assassin.” In the 2009 release, Rain plays Raizo, one of the deadliest assassins in the world. “The Prince” will open in theatres nationwide on September 10 from Axinite Digicinema.